London in August 1647 was a tense and frightened city. The Civil War had exhausted the nation and coarsened its people. Parliament had emerged victorious, but it was becoming clear that the real power in the land was the military force that had defeated Charles I, the New Model Army, whose troopers were advancing on the capital, unpaid and angry. In a gesture to the soldiers, Parliament appointed their commander, Sir Thomas Fairfax, Constable of the Tower of London. The first act of the Roundhead general on taking up his post was an encouraging one. He called for the greatest treasure in the Tower to be brought before him. Not a crown nor a sceptre, but a desiccated piece of parchment carrying barely legible Latin script. I feel a stab of patriotism whenever I recall that story as, I suspect, do most British people. I say “British” rather than “English”: the civil wars had touched every territory where our language was spoken, including the precarious North American colonies. The principles that had actuated Cromwell's Ironsides in England were closely allied to those that had stirred Scotland's Covenanters and, indeed, New England's Puritans: a majority of Harvard graduates in the 1640s crossed the Atlantic to fight alongside their cousins in the cause of parliamentary supremacy. English nationalists, as well as Scottish separatists, sometimes claim that Magna Carta is a narrowly English document, of no interest to the rest of the United Kingdom, and it's obviously true that England was a separate kingdom in 1215 – though Scottish monarchs had vaguely and fitfully acknowledged the suzerainty of their English counterparts since Saxon times, and though King John's father had conquered Ireland. That, though, was then. The principles of the Great Charter have since become the common property of all English-speaking peoples. One copy adorns the Australian Parliament in Canberra, another hangs alongside the Declaration of Independence and the U.S. Constitution in Washington. Here is the Anglosphere's defining text. I've described Magna Carta before as the Torah of the English-speaking peoples – the text that sets us apart while, at the same time, speaking universal truths to the human race. In placing the law above the government, it established, in a written, contractual form, the precept that was to lift us above the run of nations. In creating an enforcement mechanism – a council that would, within 50 years, become the Parliament that still meets in Westminster – it ensured that representative government was not a mechanism for the majority to override the minority, but a guarantor of freedom. There are two other reasons to recall, with pride, Fairfax's veneration of Magna Carta. First, because the idea is getting around that we are freighting the document with a significance that contemporaries would not have recognised. The Charter, runs this line of argument, was a truce between a cornered king and his mutinous barons – a truce that the king broke the moment he could. It had nothing to say to or for the vast majority of Englishmen, let alone Englishwomen, who remained serfs and vassals. In a literal sense, all this is true; and yet our later freedoms were gestating in the Charter. Establish the rule of law – the idea that the authorities can't make up the rules as they go along – and everything else will eventually follow: free contract, secure property, equality before courts, free elections, free speech, free association, free conscience and, in due course, religious pluralism, a universal franchise and equality between the sexes. By the fifteenth century, Magna Carta had been reconfirmed by various monarchs more than 40 times. The idea that Coke or Hampden or some other agitator in the cause of parliamentary sovereignty found a copy in an old collection and gave contemporary relevance to a text that had until then been of antiquarian interest depends upon disregarding a great deal of what was said during the intervening four centuries. There is another, yet better, reason to recall Fairfax and his cause. Such episodes place – or ought to place – Magna Carta beyond the quarrels of our times. Left or Right, radical or conservative, republican or monarchist, Christian, Muslim, Jewish or atheist, surely we can all celebrate the subordination of our rulers to the law. We can all take pride in the fact that this concept was born here, on this island – in, as it happens, my constituency. There is a history of Britain that is about empire, aristocracy, monarchy, the established church, exploitative employers, and so on. The Tory view of history is founded on the myth of a benevolent elite granting carefully managed change out of goodwill and generosity. 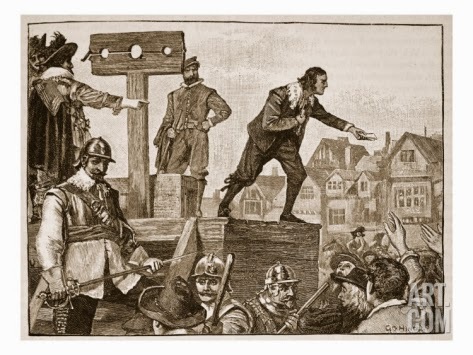 After presenting a grotesque parody of what Tories supposedly believe, Owen tells us that his own view of British history draws on the Lollards, the Levellers, the Chartists, the Tolpuddle Martyrs and so on. That's great, Owen, but shall I tell you something? Conservatives – trust me on this – admire those movements, too. We like the idea of wresting power away from remote elites: it's why we distrust quangos and Eurocrats. As Harold Macmillan was fond of saying, we didn't get rid of the divine right of kings only to bow down before the divine right of experts. The Lollards prefigured the Reformation and the freedom-loving culture it implied: we love them. The Levellers pioneered the property-based individualism that is nowadays called "libertarian": we love them. The Chartists stood for straightforward democracy, and would have loathed the privileging of NGOs and other corporate interests: we love them. Alright, it would be stretching things to say that we "love" the Tolpuddle Martyrs, but we admire their courage in defending the principles of free association and free contract. Please don't get me wrong: I am not trying to claim any of these groups for the Right. Tony Benn's reverence for the Levellers was every bit as sincere as Enoch Powell's. My point is that a story that could equally inspire Benn and Powell can fairly be said to distinguish Britain from other places. If anything, it's a story that ought to make Lefties feel especially patriotic. I've just been at a reception in advance of next year's 800th anniversary. There were historians present, and representatives from Runnymede and the Charter towns and some very bright history students from the Magna Carta school in Staines. David Cameron made a first-rate speech: informed, fluent, patriotic and delivered without notes. He spoke about the global fight against corruption. He argued that the true test of the rule of law was how often a government was defeated in court – a test, he added ruefully, that Britain passed handsomely. He traced a line from Runnymede to our own age. I don't think that Owen Jones would have disagreed with a single word. That consensus is what makes us who we are as a people.